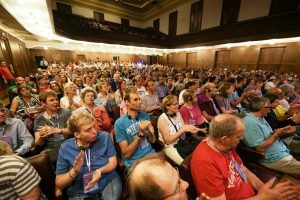 After three years of preparation, the seventh and final European Congress was held in Serbia. 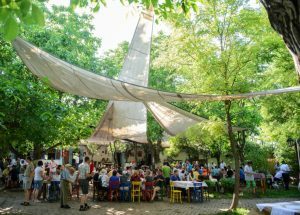 About 350 participants from 11 countries travelled to Belgrade under the motto “Man is an angel to man”. The congress took place in the dignified Crown Plaza Hotel, where the participants resided together with business people and tourists. At the opening ceremony the hall was filled and there were Ambassadors and representatives of the Government and cultural life mingled with the participants. 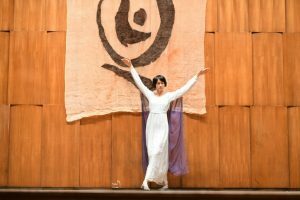 The program presented a world premiere of a piece for eurythmy, piano, some important speeches and a wonderful vocal concert by a twin brother couple. 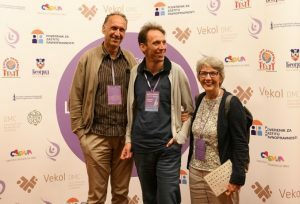 One of the groundbreaking contributions was the lecture by a participant from Switzerland using facilitated communication. Various workshops and excursions were offered. Everybody enjoyed the Balkan party at the last evening and appreciated the Serbian hospitality. 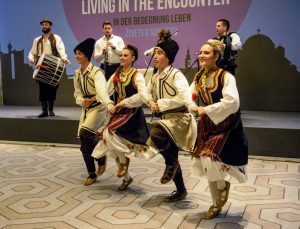 In Belgrade, the congress series “Living in the Encounter” celebrated its crowning finale. In this city marked by wars, the participants proved by their special life situations that and how man is an angel to man. In Europe there are now erected seven pillars of a unique bridge which is connecting Berlin and Belgrade. This building was established within two decades and it remains unforgettable for those who truly lived in the encounter.